From the people at Lion Montages, who brought us a pretty sweet Overwatch movie trailer, we now have an even sweeter Overwatch Netflix series trailer. These are obviously fan made and do not signify an actual Overwatch movie or Netflix series, but they make me wish for one or both of these things so very, very hard. Honestly, I’d rather have the Netflix series. You could do so, so much more with the game world’s story in a full-fledged series than with a single movie. 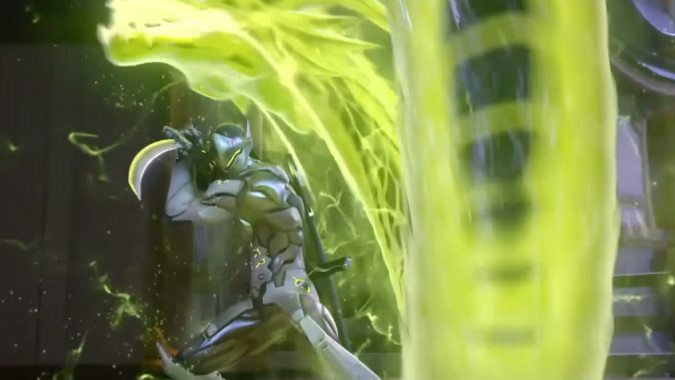 The trailer is mostly made with intercut footage from various Overwatch shorts, although I’m pretty sure the scene of D.Va and Genji is from the Heroes of the Storm Hanamura trailer. But that’s pretty cool because it showcase just how much potential there is for a series like this, based on what Blizzard has already done. It also showcases just how much demand there is for something like this. Overwatch is astonishingly popular after only a year. I obsessively read every wiki I can on the thing and I’ve never even played it thanks to the whole ‘right eye’ situation. Anything Overwatch has a built in following that would almost certainly translate to a pretty big audience. I hope Blizzard is working on something along these lines. The fan community is clearly on tenterhooks waiting for it.